It does seem but a few years ago when I first met Jonas and Irene Ng from Zion Motorhomes. It was at a show and they had a couple of Dethleffs A-class motorhomes on their stand. I was suitably impressed by the motorhomes but did wonder how the then fledgling Acacia Motorhomes might fare given Jonas was using his local church as a storage venue for his motorhomes. Very well as it turned out. 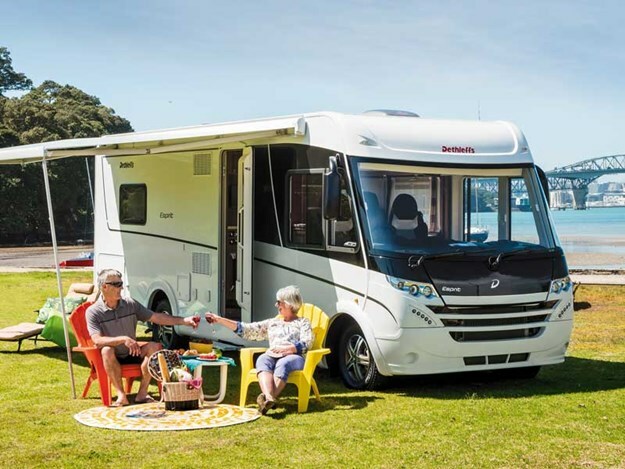 Acacia has morphed into Zion Motorhome—which has acquired a number of well-known German motorhome brands—has a rental operation using McRent (Dethleffs) motorhomes, and recently had a special opening for their brand-new, purpose-built premises. 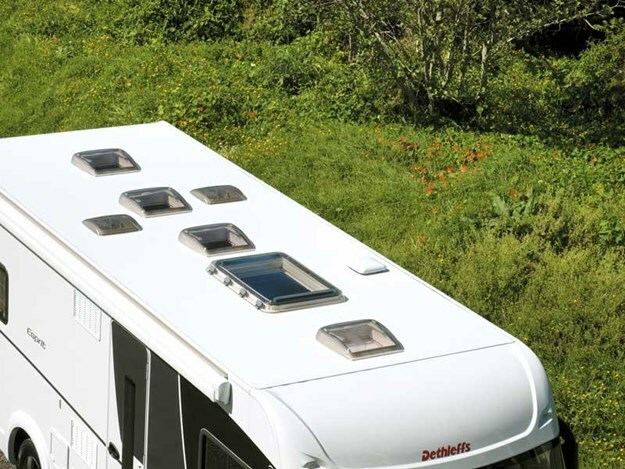 Therefore, it was fitting that I should not only check out the new building but also review a Dethleffs motorhome—one of the first imported brands that I had a look over. 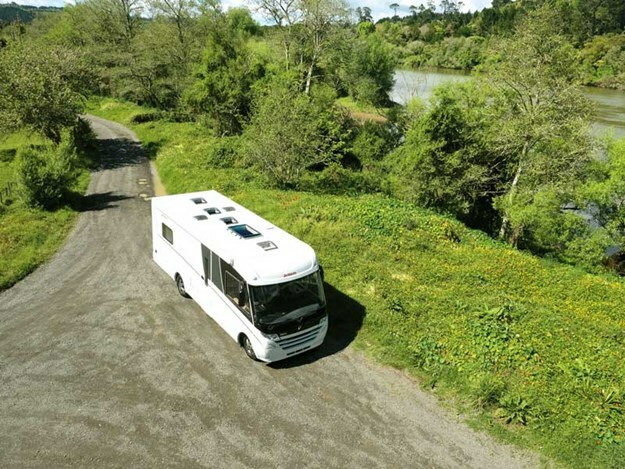 As is well-known, the Europeans, in general, seem able to build a good A-class motorhome, so it was appropriate to go for a run in an Esprit i750-2 motorhome. Measuring 7600mm in length, the Esprit has a stylish look about it from the outside. It’s built on a Fiat Ducato Multijet 180 cab (the stripped down version) bolted to an AL-KO AMC chassis. The idea being that the wide chassis gives good stability when driving and its GVM of 4250kg results in a very good payload of 873kg. Handy when you have a 160-litre water tank, apart from anything else. 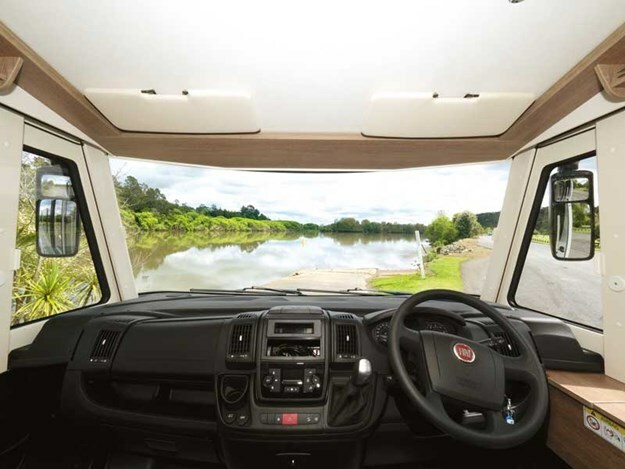 What is also of interest to the drivers among us is that Dethleffs have opted for the most powerful of the Ducato engines—the 2.3-litre, 130kW turbo diesel, which is handy on some of New Zealand’s steeper roads compared to the easy-cruising German autobahns. 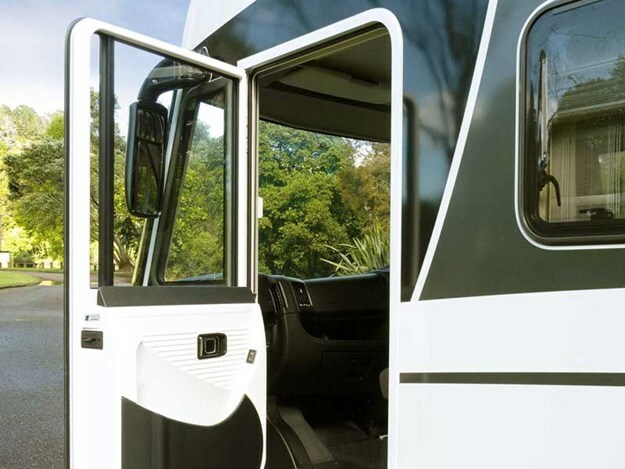 Being part of the Hymer group, the Dethleffs has the habitation door on the offside. Regular readers will have read the recent article in MCD 174 on the driver-side habitation door issue, but I have to admit, I don’t find it a problem. Especially in this case, as there’s a good-sized door by the passenger seat, which is makes coming and going quite easy. 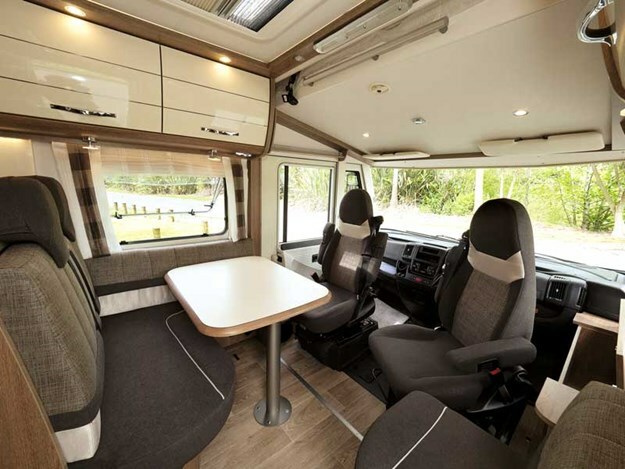 Like any good Euro motorhome, this one has a good-sized garage area, not quite large enough for something like a small motorbike but certainly still good enough for just about anything else useful when camping out. Inside, the layout looks somewhat familiar, at least to those familiar with Euro layouts. Up front, the A-class cabin area gives a fine view of the outside world from the rear seats—two on the passenger side and one by the habitation. Behind the dining/lounge area is a compact little kitchen arrangement, while further back is a split bathroom, just in front of the rear bedroom section complete with island double bed. 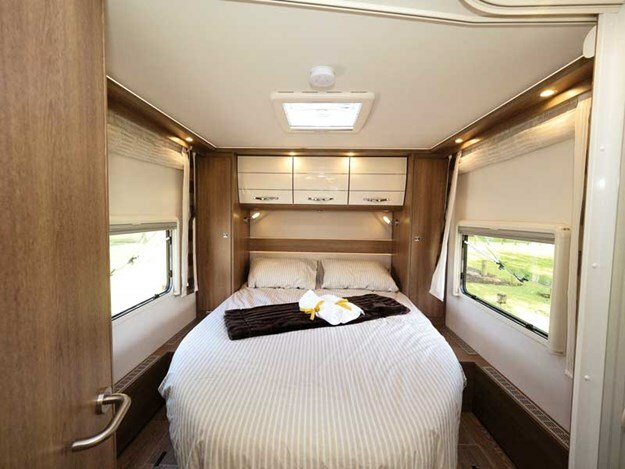 Being a four-berth motorhome, there’s a second bed up front—a drop-down above the front cab area. 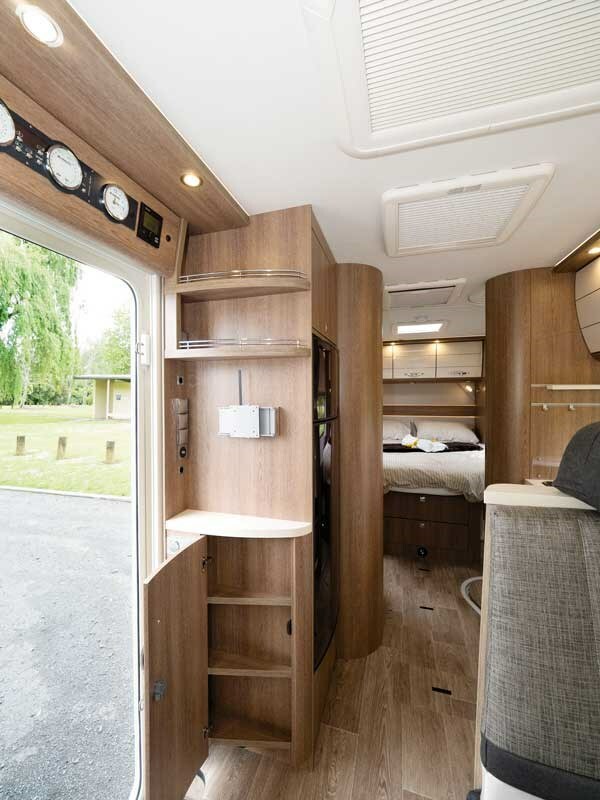 Given the lighter colour scheme employed in the Esprit and the multiple numbers of roof hatches, the motorhome certainly has a lot of natural light. That won’t change at night either, except for the natural bit, because there are plenty of LED fittings everywhere, both the downlight variety and concealed strip lights. 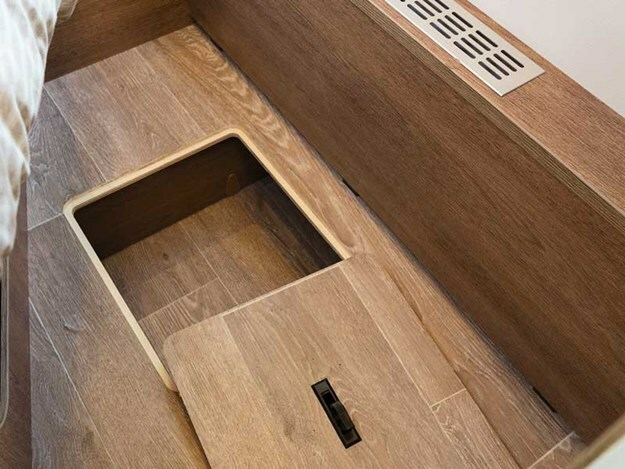 Down at foot level, there are a number of floor hatches; some are for easy access to the water tanks while the rest offer semi-concealed, handy storage places. 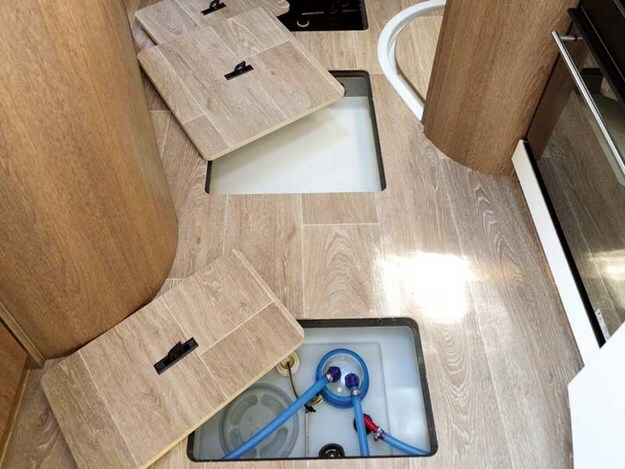 Just a point of note here with the water tanks—not all manufacturers have access hatches but it’s handy if there’s a problem or a need to easily clean out the tanks, especially the grey tank! Among the European manufacturers, there does seem to be a bit of a standard formula for the seating layout but it’s a tried-and-trusted arrangement. Both the cab seats swivel around and there’s a good-sized table behind them, an any-which-way variety which meshes in well with rear seats, both forward and sideways facing. A benefit of this arrangement is that it suits two or four people quite well; when there are only two, they get more choice in seating. Important at TV-viewing time, the flat-screen being mounted on the side of the fridge cabinet. I guess it’s also a handy location if the drop-down bed above is being used! On the subject of the bed, it drops down into position quite easily and the only thing to remember is to fold over the cab seat backs. There were a couple of features I liked in the kitchen set-up. One was the curved look to the kitchen bench, which not only looks good but is quite space efficient as well. Another was the split smoked glass cover for the three burner hob. It might not sound much but since there isn’t a great deal of benchtop area, it does make a difference. A round stainless steel sink is the other essential kitchen bench top fitting. The tea towel hooks mounted on an acrylic sheet to protect the cabinetry underneath is a thoughtful feature. In European fashion, there isn’t a microwave oven, but below the cutlery drawer, there is a useful Thetford Duplex oven. General storage space isn’t too bad with double compartment overhead locker and two good-sized drawers below. 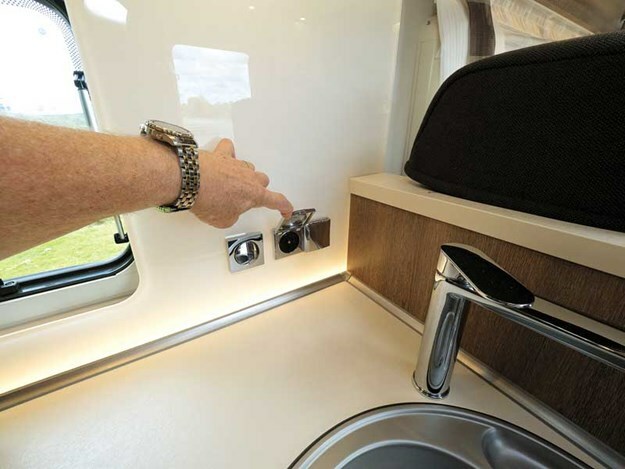 Incidentally, the drawers can be electrically locked for travel, the switch being on the wall by the light switches. 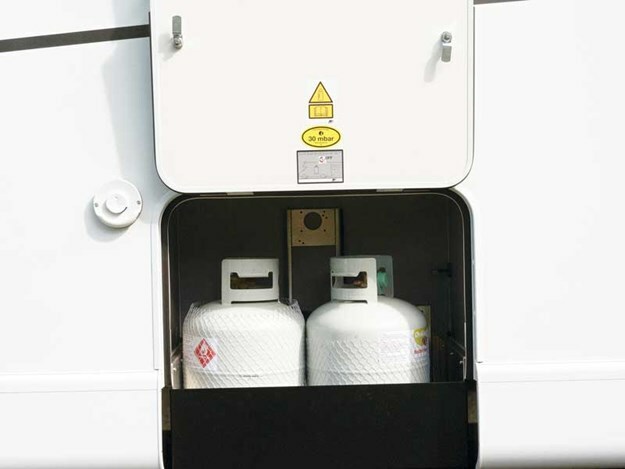 Facing the kitchen bench is a two-door Dometic 190-litre fridge—a three-way model, which is useful when camping sans power. I always get a bit fascinated by the way the German manufacturers, in particular, seem to come up with variations on a split bathroom layout, the challenge being to make the best use of space. 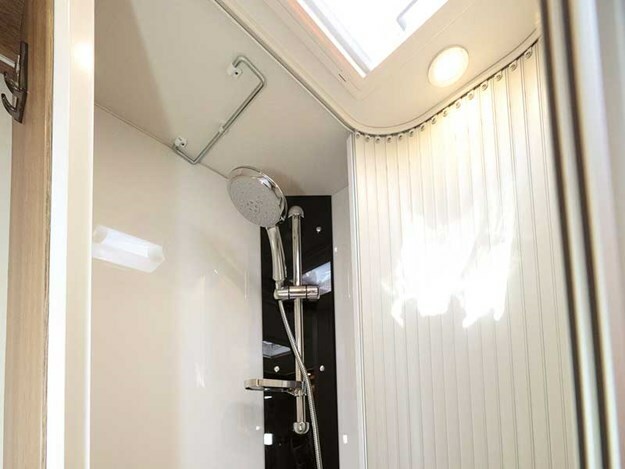 Consequently, the nearside shower cubicle has a roller shutter style door and a removable timber base, so it doubles as a walkway to the bedside. The only downside to this is the non-translucent door, which makes the shower area feel quite small. There are always compromises! Across the way, the toilet cubicle is well appointed with the full kit of a Thetford cassette toilet, vanity sink, and a decent-sized shaving cabinet. 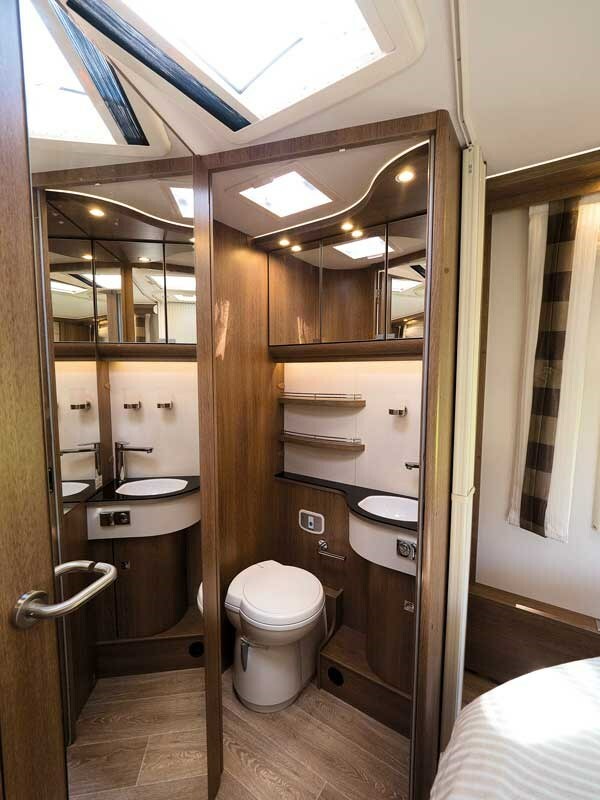 The toilet door, which does have a full-length mirror, can be used to close off the rear area from the rest of the motorhome. Surrounded by a bed head of side wardrobes and overhead lockers, the island bed measures a generous 2000mm x 1500mm. It has curved ends, which make getting around it easier, and given the bed height, there are steps on either side. Naturally, they have a dual purpose; the hinged lids give access to the storage space underneath. Another little compromise feature that works well. The bedroom lighting is subtle but can be adjusted for whatever the need. 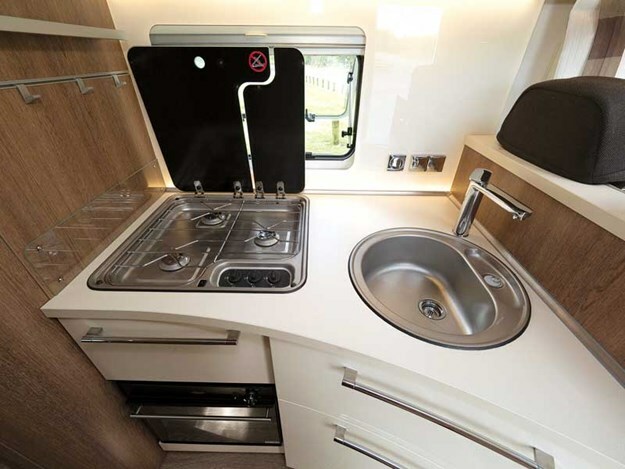 With a 160-litre fresh water tank and a 120-litre grey tank, the Esprit is certainly well set up for remote camping. Two 95AH deep cycle batteries supply the electrical load and they can be charged up by the 200-watt solar panel. Indeed, the only real limiter on extended stays is, like many motorhomes, the capacity of the toilet cassette tank. 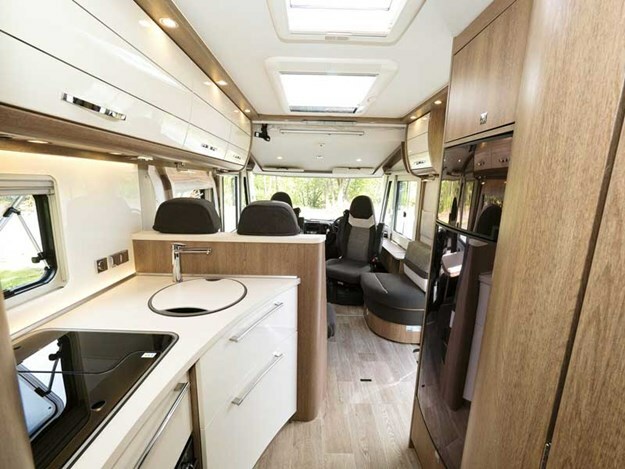 The Esprit is quite a stylish looking motorhome inside and out. With its length of 7600mm, it does have the space for all the necessary comfort inclusions yet is still easy to handle on the road. Driving was quite a pleasure, especially with the coach-style mirrors and the general all-round vision from the cab seats. It’s motorhoming in style. 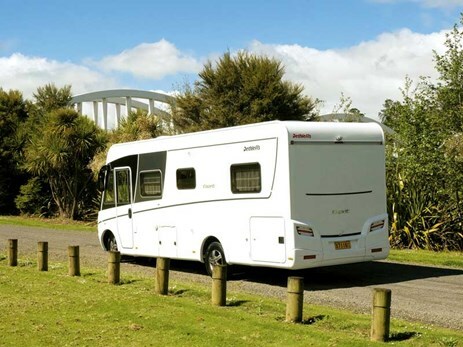 For more information, call Zion Motorhomes on 0800 112 828 or visit zionmotorhomes.co.nz.